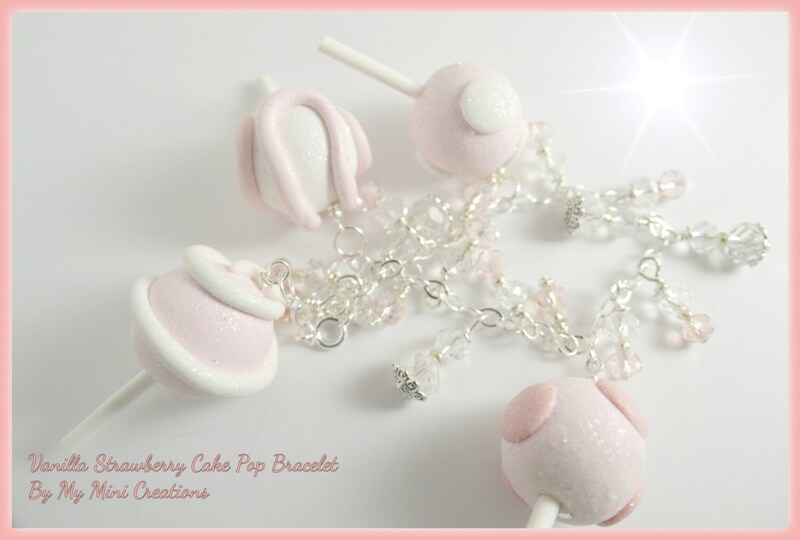 Handmade Polymer clay Vanilla Strawberry Cake Pop bracelet is one of a kind. 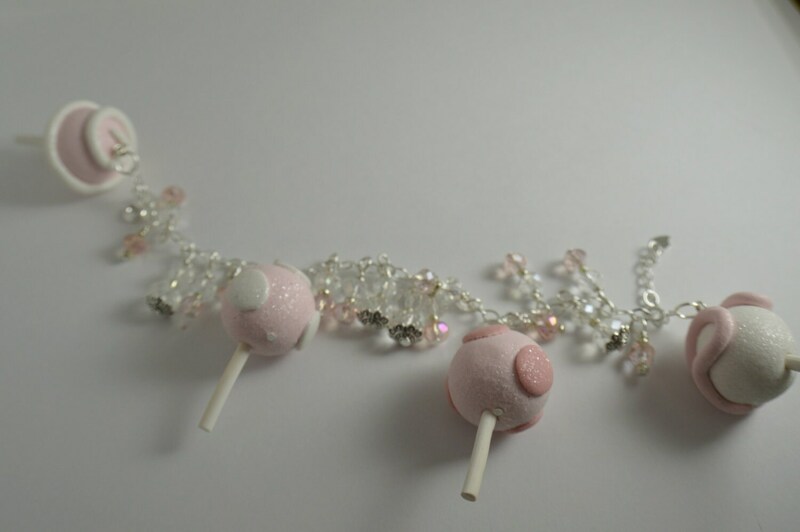 The cake pops are made out of polymer clay the bracelet includes pink and white Swavorski beads. The bracelet its self is sterling silver. All items are hand made with care. 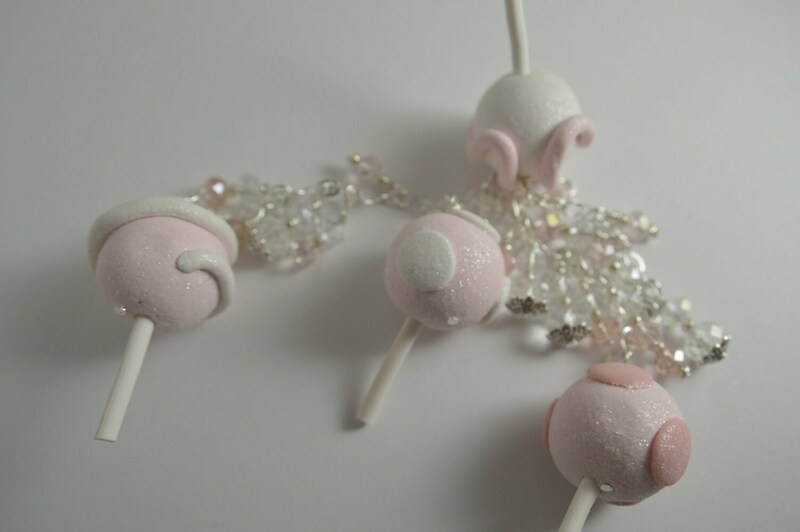 Cake pops are almost 1 1/2 inches.